H-SET - The world's most popular single action airbrush is recommended for beginners. Compact, reliable, quiet, easy to use & pressure adjustable. 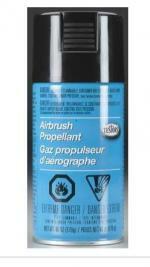 6oz Can of Airbrush Propellant from Testors.